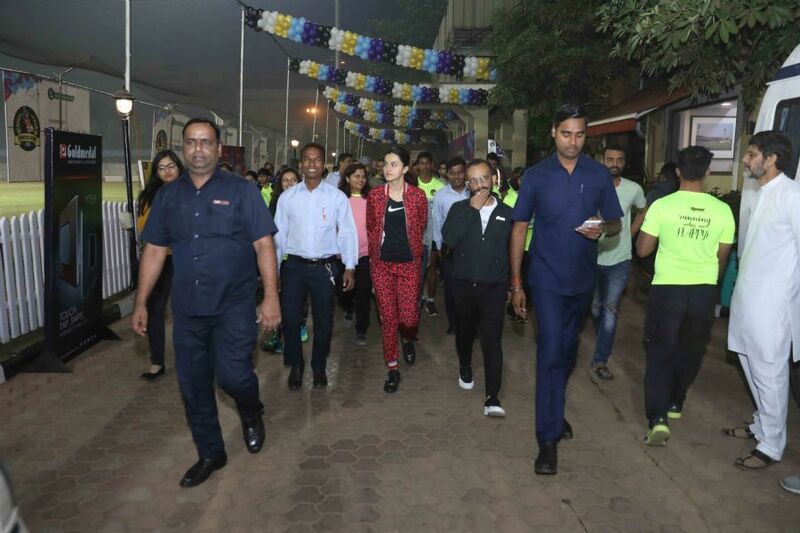 The Goregaon Sports Club (GSC) marathon kicked off with great fanfare, as the 'Manmarziya' actress Tapsee Pannu flagged off the run, an awarathon for cancer awareness on "World Cancer Day"
With over 3500 participants - one of the largest running events in the Western Suburbs of Mumbai. 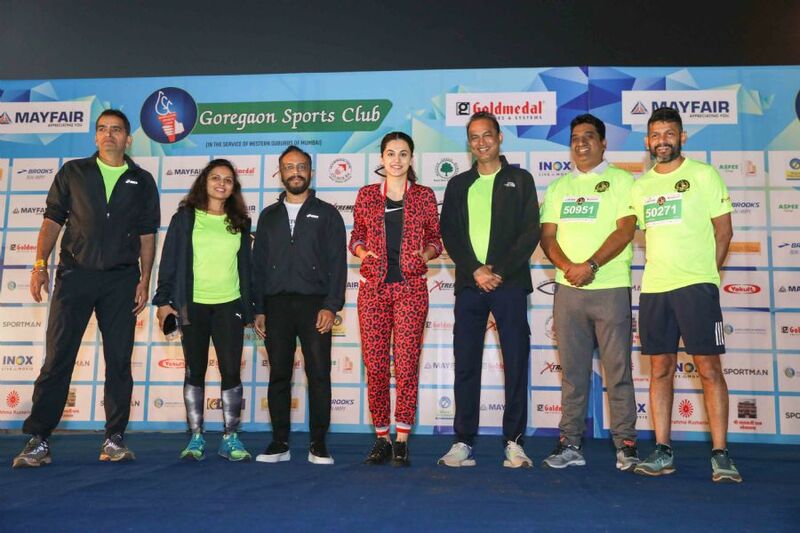 An enthusiastic Tapsee said, "It's my pleasure to be a member of GSC and as a member I feel very good supporting the Cancer Awareness Marathon"
GSC is a prestigious club in the Goregaon-Malad area, spread across 11 acres with state-of-the-art infrastructure, managed by the GenNext team of established entrepreneurs under the mentorship of Mr. Mukul Agarwal. "It is our honor to have youth icon Tapsee supporting our cause as a citizen and also as a GSC member. Our club is renowned for promoting sports activities with great grandeur and this awarathon is our endeavor to support this cause. We have received an overwhelming response from participants! ", says Nigam Patel, General Secretary, GSC. 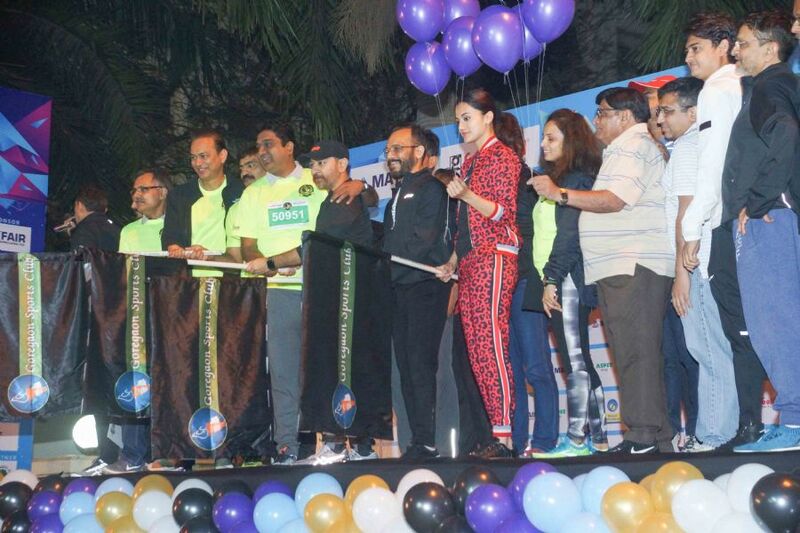 The Marathon was led by Lady Chairman Rajshri Panchal. Along with Mr. Mukesh Purohit and other team members, GSC donated a sum of Rs. 5 lakh to Tata Memorial Hospital. The club also facilitated 100 free cataract operations, in association with Rotary Club of North West Mumbai (Malad).